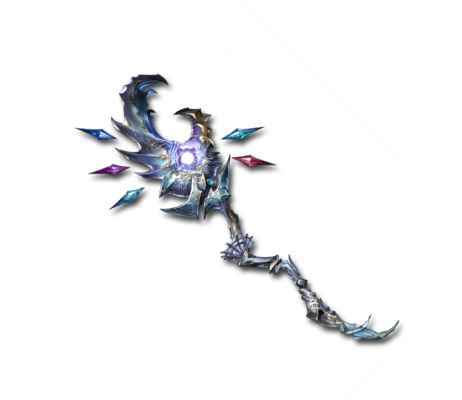 An ice staff that glimmers palely. When swung, it emits a stream of frost that could freeze even the sky. Opponents are unable to flee it—they are stopped for all eternity in a prison of ice. Freerhen Alp Traum Massive Water damage to a foe. This page was last modified on 19 April 2019, at 15:53.